Last year our Russian customers OOO Imobis from St. Petersburg asked us to develop a complex multi-shop solution for desktops, tablets and smartphones. The goal was to develop a custom web solution that allows florists to sell their products online easily in self-service-platform. The sellers pay commission fees for each sale to the platform. Because clients want fresh flowers to be delivered quickly, this has been developed as a Location-Based-Service. The buyers enter the destination address or are located on mobile devices and will then only get offers that are available around him. This is possible in Russia since there is a big number of independend, small flower-dealers. 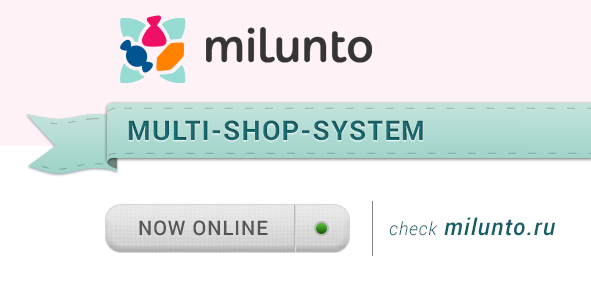 The online shop is now online at www.milunto.ru. Despite the Russian language website, you can get a good overview. * What is 9 + 1 ?